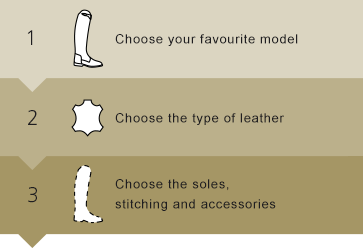 At CustomizeYourBoots.nl you can create your own unique Petrie riding boots online. Choose from various models, colours, leather and accessories. The choice is yours: anything from classic boots with subtle adjustments to modern boots in your own personal style.